Burano really surprised us with its brightly colored buildings and narrow canals. Each house is painted in a very bright color which only repeats every few houses. This explosion of color is delightful and it was completely surprising to us as we did not have time to actually see any photos from Burano before arriving here. 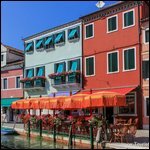 And even if you do see photos of Burano before visiting it, these brightly colored buildings and the green water of the water canals will still be delightful to you. Let me take you on a colorful walking tour of Burano, Italy. We arrived in Burano after visiting the island of Murano in the morning. Burano is situated about another 30 minutes boat ride from Murano. 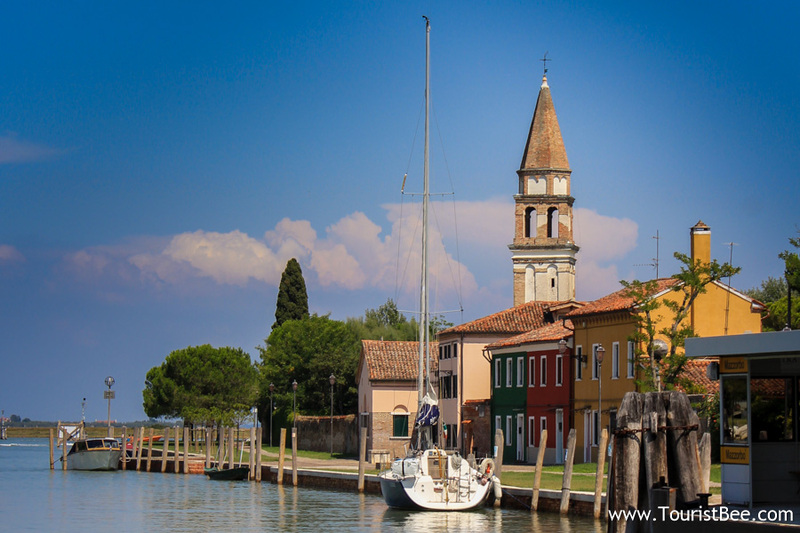 If you are coming from the main island straight to Burano you need to factor in about one extra hour for the boat ride. Burano is a small island with narrow water canals which make it to be very compact and easily walkable. Thus visiting Burano, feels like visiting a small old village but its location in the Venice archipelago makes the feeling very different at the same time. Venice and its islands are truly unique destinations. Take time to admire the colors of Burano. This is what sets Burano apart from the other islands. 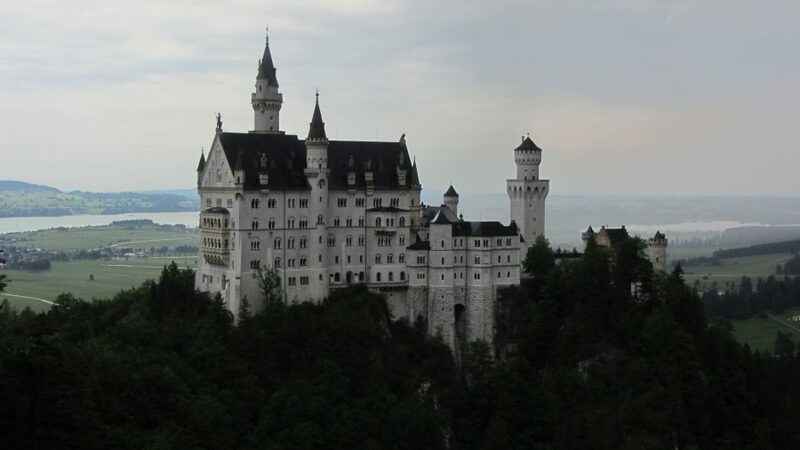 Walk along the water canals, cross the small bridges and admire the view. The island is small and you can pretty much see everything by simply following the crowds. 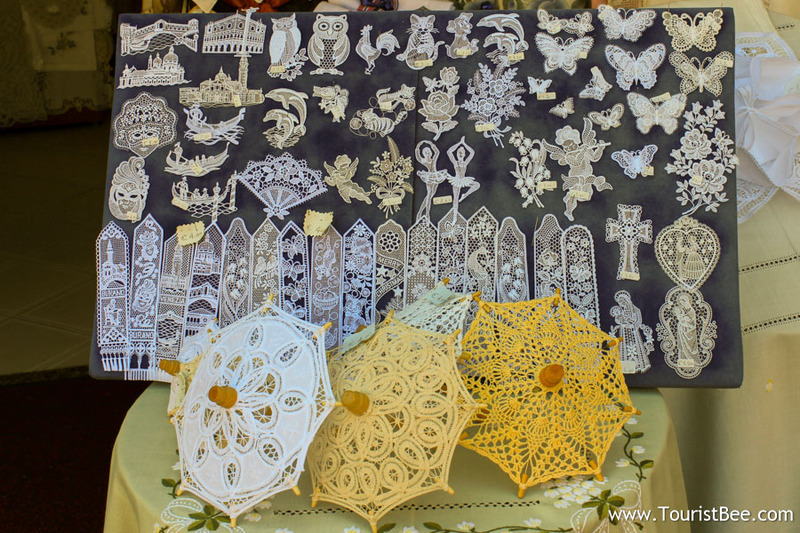 Visit the Burano Lace Museum. Just like Murano has its Glass Museum, Burano has its Lace Museum which is worth seeing if you have the time. Unfortunately we arrived late in the day because of the long wait to get on the boat in the morning, so we chose not to visit this museum. Make sure you have some energy left for the boat trip back to the main island. Make sure you return to the main island via the island of La Giudecca or another boat stop that takes you around to see St. Mark’s Square. 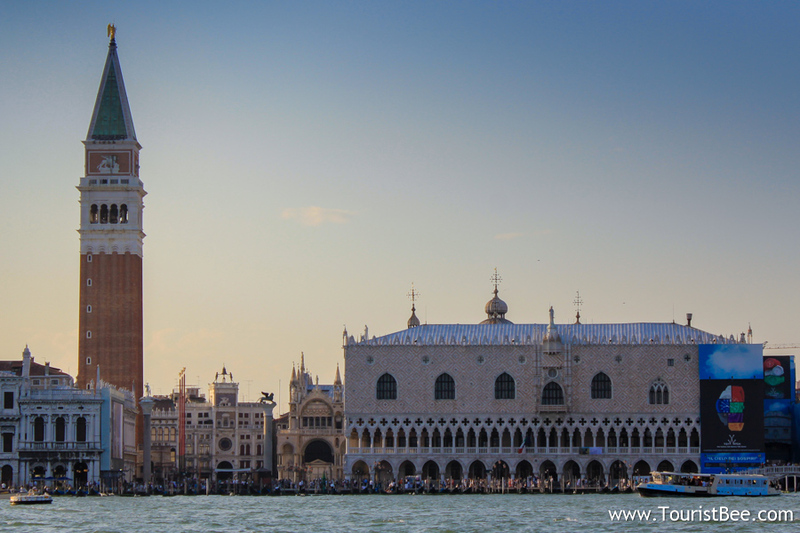 The views of Venice from the boat around sunset time are simply spectacular. We started our walking tour of Burano by taking in the colorful spectacle in front of our eyes. I have seen a few other colorful towns in Italy like Cinque Terre or Verona, but Burano was made colorful on purpose long time ago by the local residents. Legend has it that the people of Burano, Italy began painting their homes using bright colors so that the fishermen could see them even in in thick fog and avoid crashing into the shore after a voyage at sea. Burano residents have traditionally painted every building in a different color with the colors repeating only every few houses. This symphony of colors coupled together with colorful clothes being left to dry in front of their houses creates a unique image for the eyes of the tourist in Burano, Italy. 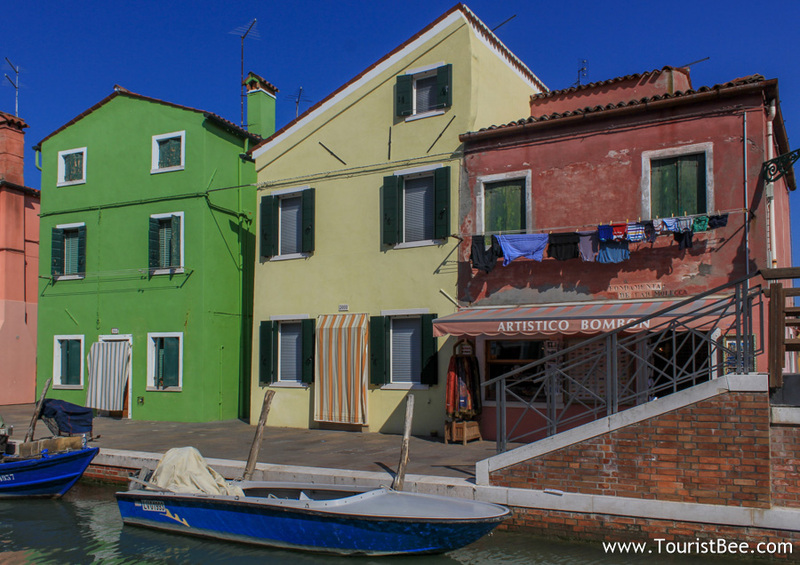 Burano, Italy – Colorful laundry left to dry in front of colorful houses is the most common sight in Burano. Our walking tour of Burano continued with some historical insights. Throughout the middle ages, during the times when Venice had a powerful navy and was called the Republic of Venice, Burano was the world capital of fine lace or “merlatto” as the Italians call it. 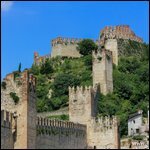 Lace is what made Burano famous and prosperous in the past, and lace keeps it prosperous today even though we live in the world of cheap Chinese imitations. Today however, Burano lace workers still make and sell beautiful lace but mainly for tourists now. We were very tired by the time we finished our walking tour of Burano. We did a lot of walking in our trip to Murano and Burano and many times we had to bribe our kids too often with the unbelievable yummy Italian icecream (Gelato) so they keep walking. Our day in Burano made us very tired and ready to get back to the train station. 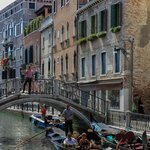 Before starting our walking tour of Burano, I took a picture of the “vaporetto” schedule from Burano back to the main island. And oh boy was I glad I did that! So I knew when the boats back were. Since is was getting close to sunset it was pretty late so we got on the next boat back. We were so glad to be able to sit down after a tiring day. To our surprise the ride back through the main canal in Venice, at sunset, was one of the highlights of our trip. It was simply gorgeous. 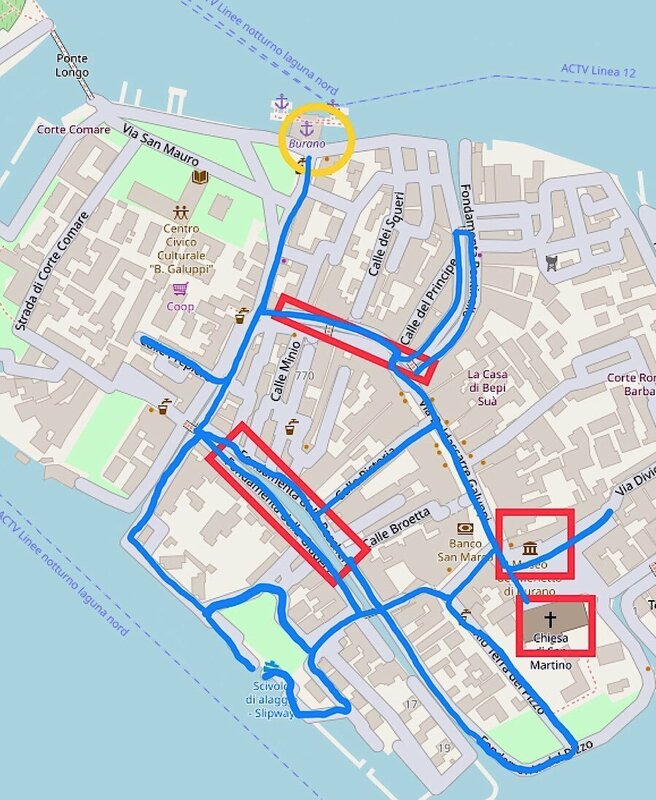 I didn’t know however that the boats would not take us on the shortest route back to Venice Central train station…the way we came in. The boat would take us to the island of La Giudecca opposite from St. Mark’s Square and then we needed to figure out another boat to take us to the train station. Make sure you take a picture of the “vaporetto” schedule when you get to the boat stop in Burano. If you want to enjoy these gorgeous views of Venice, then your need to return to the main island via La Giudecca so look at the boat schedule and figure out which boat to get on. Remember that the boats do not run very late into the evening, so plan accordingly. The trip by boat to Giudecca was long and we arrived at Giudecca we only looked for the next boat to the train station, even though La Giudecca is beautiful to visit as well. We were happy to find that the next boat to the train station was already coming so we got on it right away. Once at the train station we found some energy to run literally to catch our train back to the mainland where we were staying. We were exhausted and the kids fell asleep in the train as soon as it started moving. 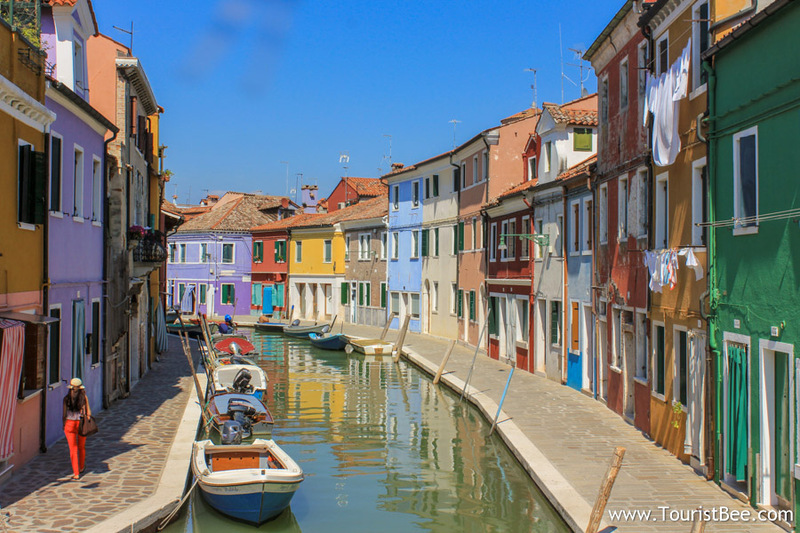 Is it worth visiting Burano, Italy? Absolutely yes! 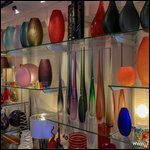 When you couple your visit to Burano, Italy with a visit to Murano you get a great trip that will complete your understanding of the Venice area of Italy. Its much smaller size and colorful buildings coupled with its history of lace manufacturing, make Burano a top destination after you have visited the main island in Venice. When you’re planning your next trip to Venice and Burano, Italy, you will find the following resources very helpful. 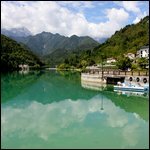 Rent a car in Italy and save up to 30% when comparing all the rental car companies. My walking tour of Burano, Italy is part of my 1 week tour of Northern, Italy. I have been to Venice 2 times but such a shame not to Burano the first time. I have done it this year however. Nice place to be.